The Nebraska Library Commission, the Nebraska Arts Council, and Humanities Nebraska are seeking nominations for the next Nebraska State Poet. This designation recognizes and honors a Nebraska poet of exceptional talent and accomplishment. Nominations must be submitted no later than midnight, CST, on August 1, 2018. Nominations may be made by any organization or individual in the state of Nebraska. To be considered, nominees must consent to the nomination. All nominations will be reviewed by the State Poet Selection Committee, which is made up of five individuals who are established members of Nebraska’s literary, cultural, and academic communities. After the committee selects finalists, the governor will make the final selection. State Poet nominations will be collected and reviewed online only. The first step is to contact Humanities Nebraska at info@humanitiesnebraska.org to verify the poet in question has not been nominated already. The remainder of the application is completed using the Nebraska Arts Council’s SlideRoom online application site. The site includes complete instructions for submitting application materials. 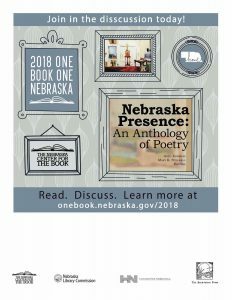 The Nebraska State Poet will be chosen based on artistic excellence, exemplary professionalism demonstrated by significant publications and special honors, an established history of community service in the advancement of poetry in Nebraska, and the ability to present poetry and interact effectively with a public audience. In addition, the State Poet must be a legal, full-time resident for at least three years prior to the application deadline and must maintain Nebraska residence during his or her full term of office. Once selected, the Nebraska State Poet will serve a five-year renewable term as an advocate for poetry, literacy, and literature in Nebraska. Duties include giving public presentations and readings, leading workshops and discussions, and providing other outreach in schools, libraries, literary festivals, and various venues in rural and urban communities throughout the state. 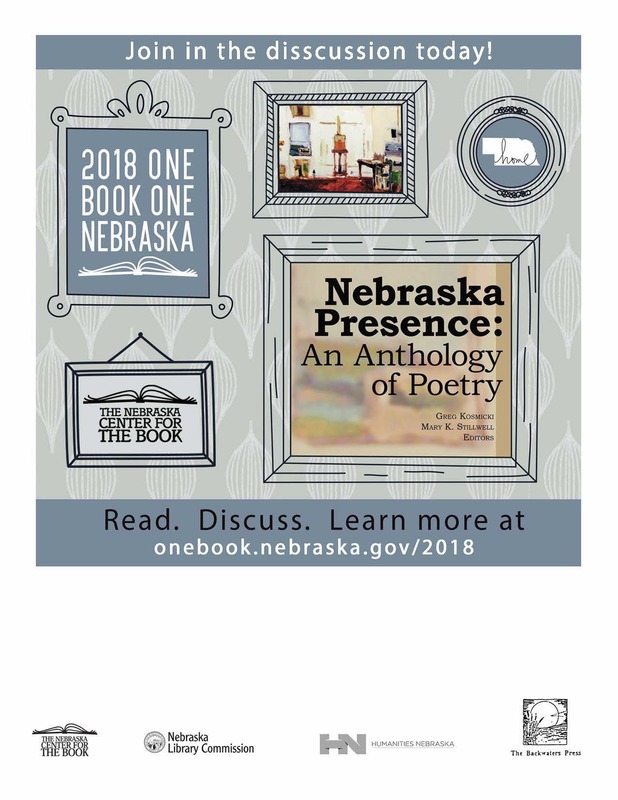 To accomplish this, the State Poet will join the Nebraska Arts Council’s Nebraska Touring Program and the Humanities Nebraska Speakers Bureau. The position of Nebraska Poet Laureate was established in 1921 when John G. Neihardt was appointed by the Legislature. In 1982, William Kloefkorn was appointed Nebraska State Poet by Governor Charles Thone. Kloefkorn served as State Poet for more than 25 years, until his death in May 2011. In January 2013, Governor Dave Heineman installed Twyla M. Hansen as Nebraska State Poet. Her service to the state concludes at the end of 2018. For more information about the Nebraska State Poet selection process, visit the Humanities Nebraska website at www.humanitiesnebraska.org and click on the rotating banner marked Nebraska State Poet. Amanda Pohlman, a freshman from Skutt Catholic High School, Omaha, will compete for the National Poetry Out Loud championship in Washington, D.C. April 29-30, 2014. Amanda, who won the won the Nebraska state championship earlier this spring, is one of nearly 3,000 Nebraska students from 25 high schools that participated in Poetry Out Loud this year. Poetry Out Loud is a program of the National Endowment for the Arts and the Poetry Foundation. The program encourages high school students to learn about great poetry through memorization, performance, and competition. It helps students master public speaking skills, build self-confidence, and learn about their literary heritage. Now in its ninth year, Poetry Out Loud has grown to involve millions of students across the country. To be eligible to participate, a high school must be registered with the state coordinator. For more information on Nebraska’s Poetry Out Loud program, contact Anne Alston, EducationManager at the Nebraska Arts Council, at 402.595.2122 or anne.alston@nebraska.gov. Poetry Out Loud offers educators free curriculum materials, a teacher’s guide, lesson plans, and video and audio on the art of recitation. Download these resources and find out more about this program at http://www.poetryoutloud.org/.